Having a chance to look at the defense from a game within the game perspective has shown to be challenging. The defense looks for tips, clues and tendencies just like the O. There are wins and losses or victories and defeats on each play. 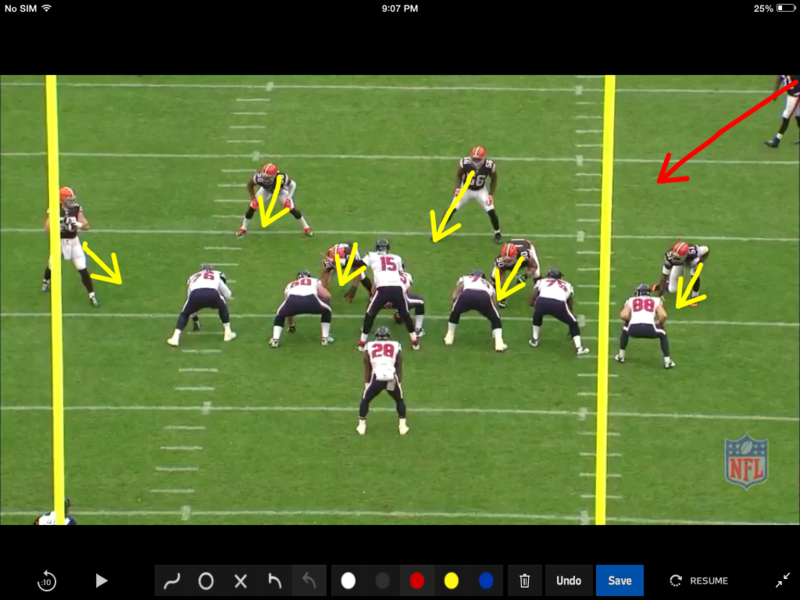 In the below picture the Browns defense is facing a 3 wides set by the Texans. 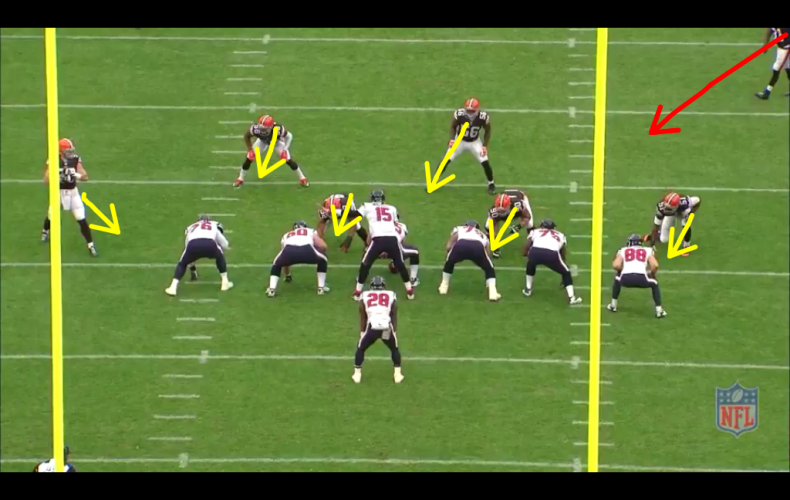 The Texans have six blockers and the runner while the Browns D has the front 6 and the safety. 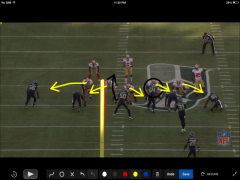 The defensive play call is designed to funnel the ball back to #31Whitner. The arrows show the gaps that each defender has. If things work out right, Donte should be waiting for the runner in his gap. In the below picture the blocking responsibilities have been drawn. You can see that everyone is accounted for in the front six. The seventh defender…#31… Belongs to the runner. The ball has been snapped and everyone has started to attack their assignment. Who will win this game within the game match up. When you look at the picture below, you will see that all the gaps have been taken. 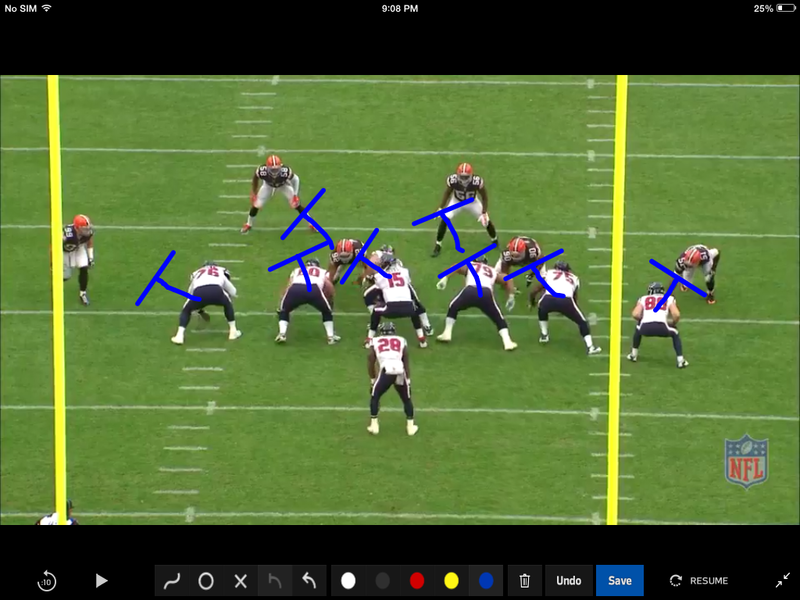 The assignments are being executed by the Browns D. Everyone is in their gaps. 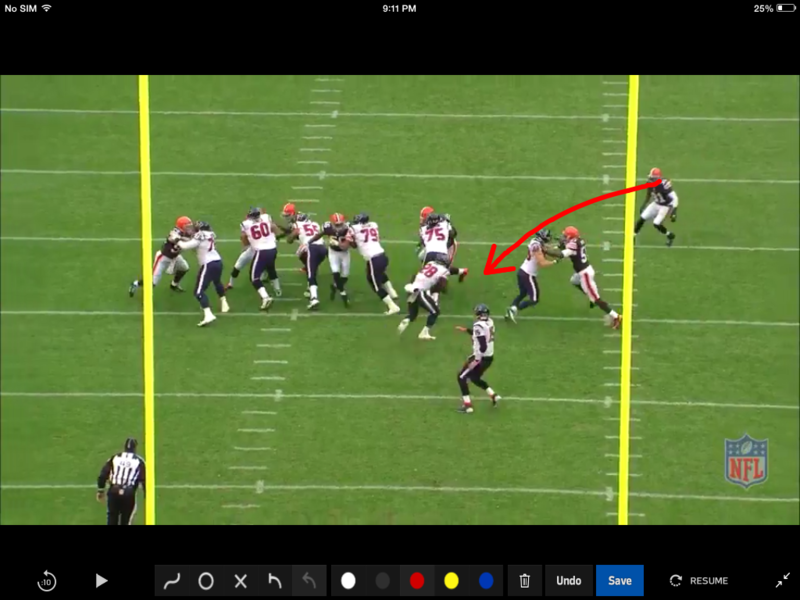 Wait…Whitner is coming, but it seems as if he is breaking down instead of meeting the runner in the hole. Why is he having second thoughts? He should be firing his gun. Look in the white circle. You will see #31 bending down getting ready to cut the runner. 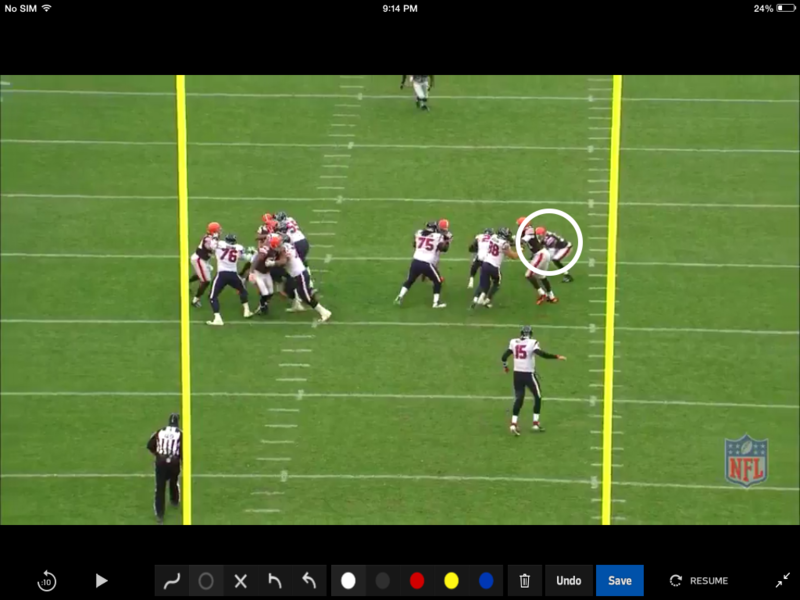 Instead of this being a three yard gain…max…it’s a six yard gain. Instead of it being a tempo setter for the game, for the Browns, it’s a game within the game victory for the Texans. Taking care of your responsibilities on each play and trusting your teammates to do the same is a crucial part of the game within the game. Once things break down, guys will try to do to much. Then that’s when play gets really ugly. Getting off to a good start is not critical but highly recommended. Blue was able to get a positive feel with his first carry instead of being stuck in the hole and feeling like it’s going to be a long one.